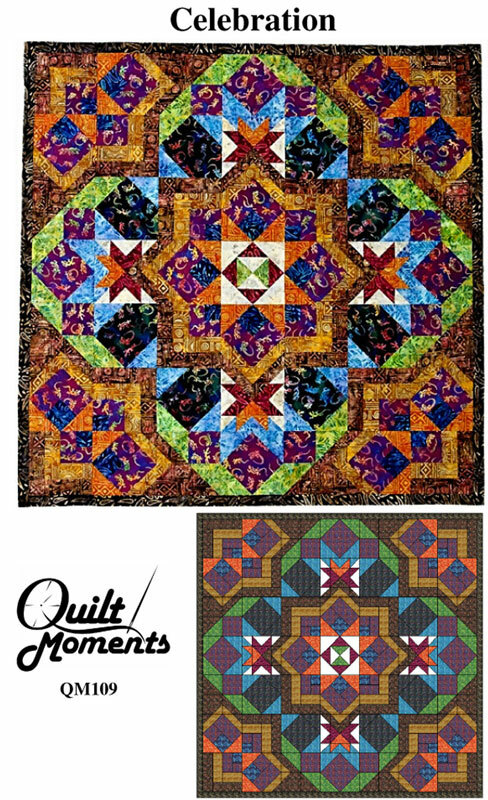 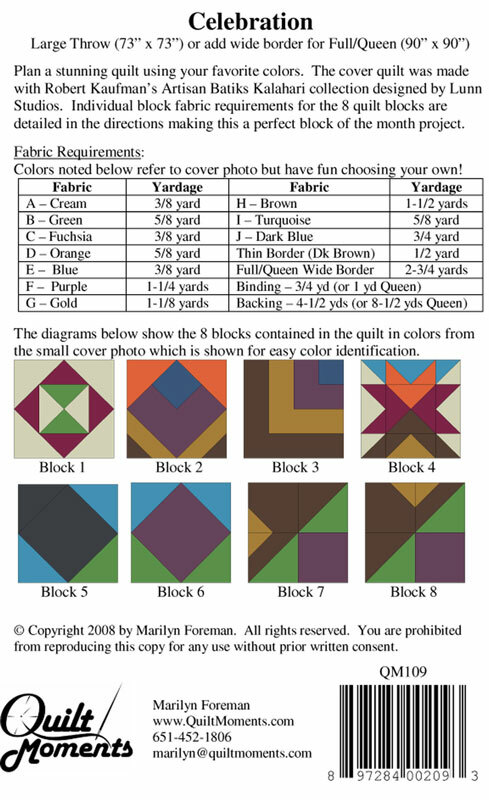 Plan a stunning quilt using your favorite colors. 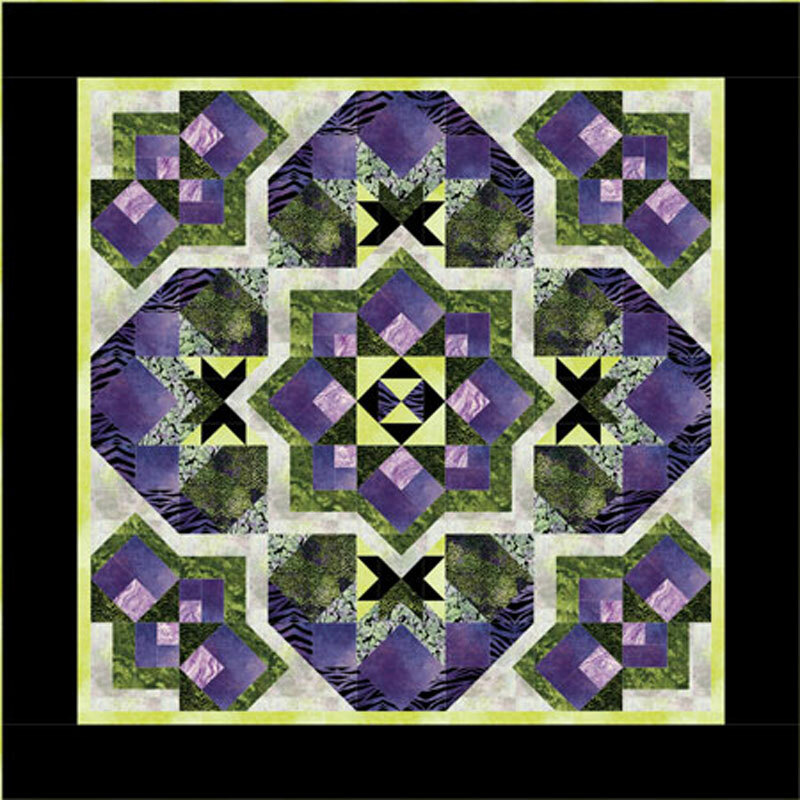 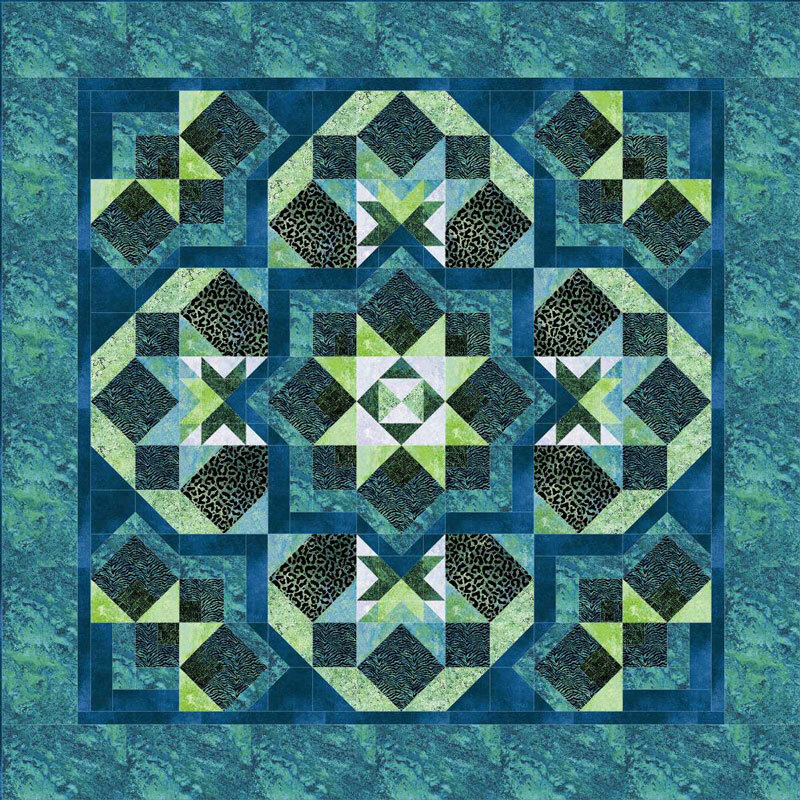 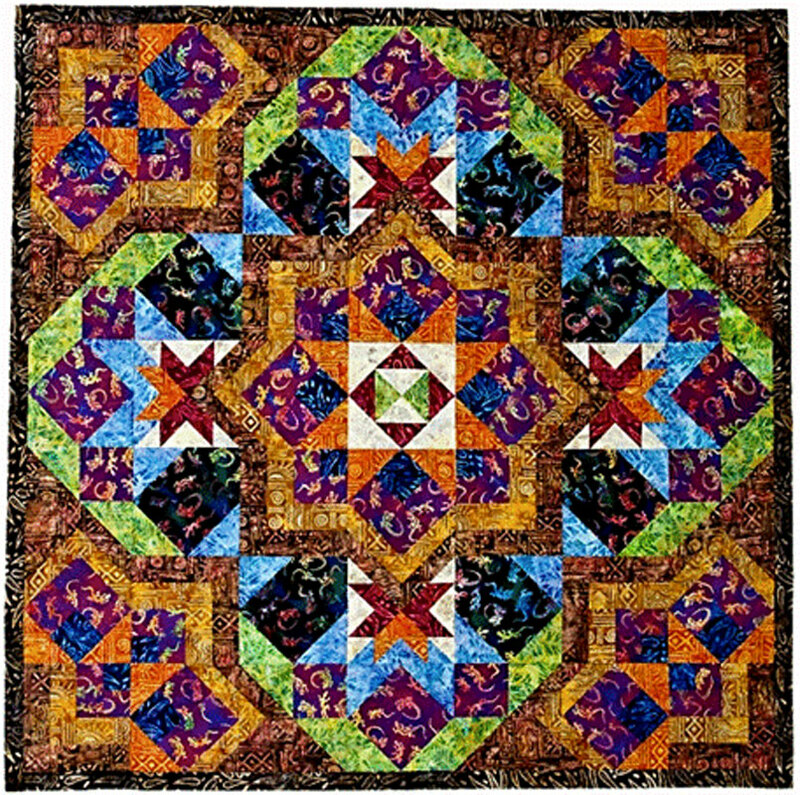 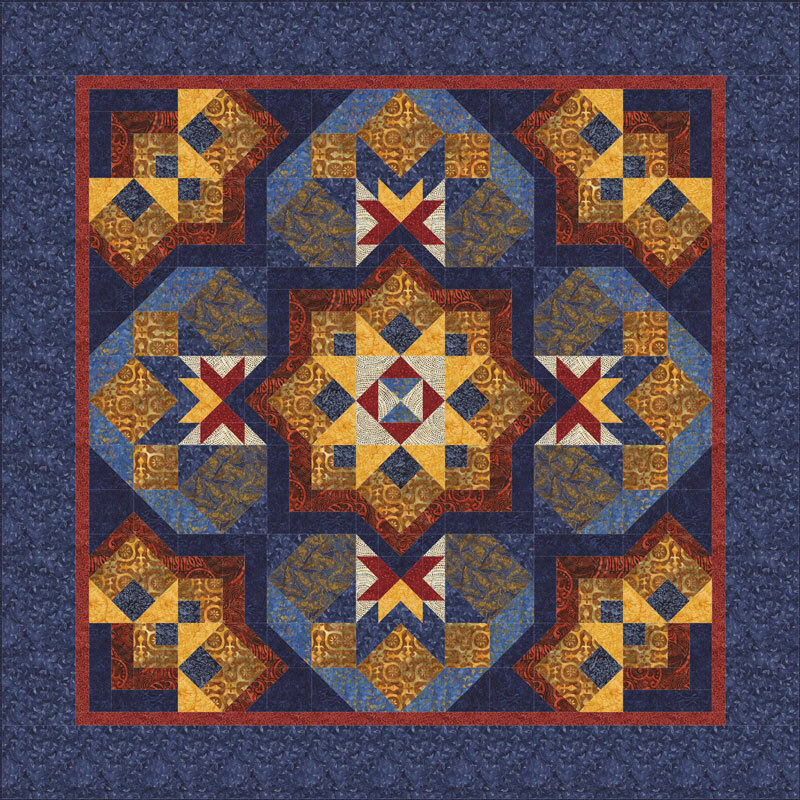 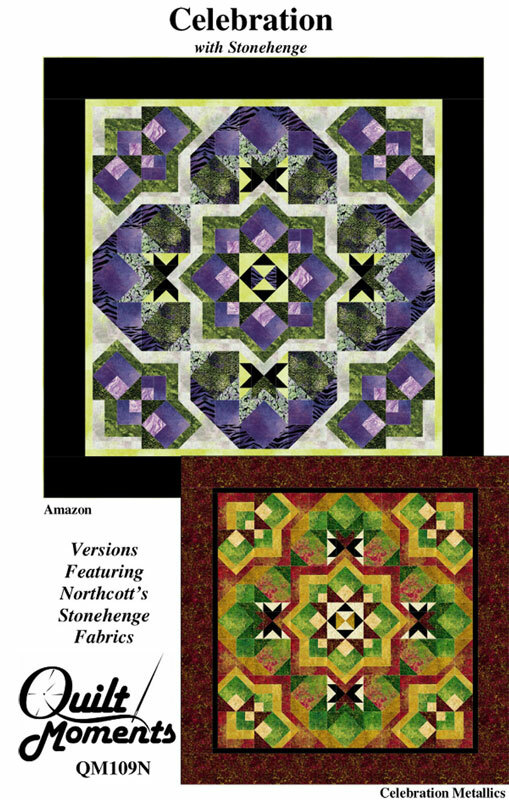 The cover quilt was made with batiks, but the design would also look great in prints in a completely different color palette. 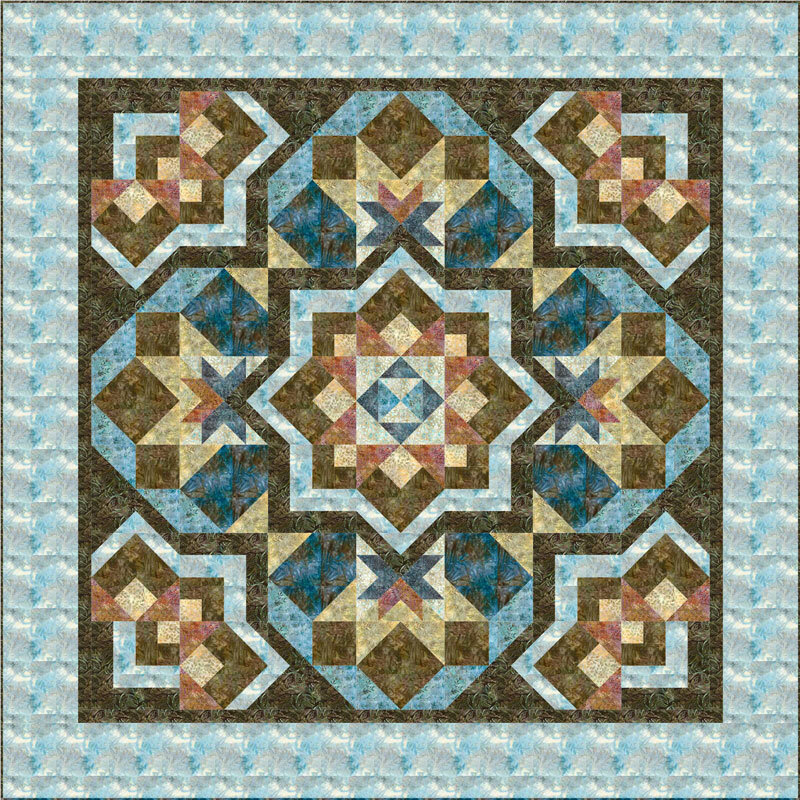 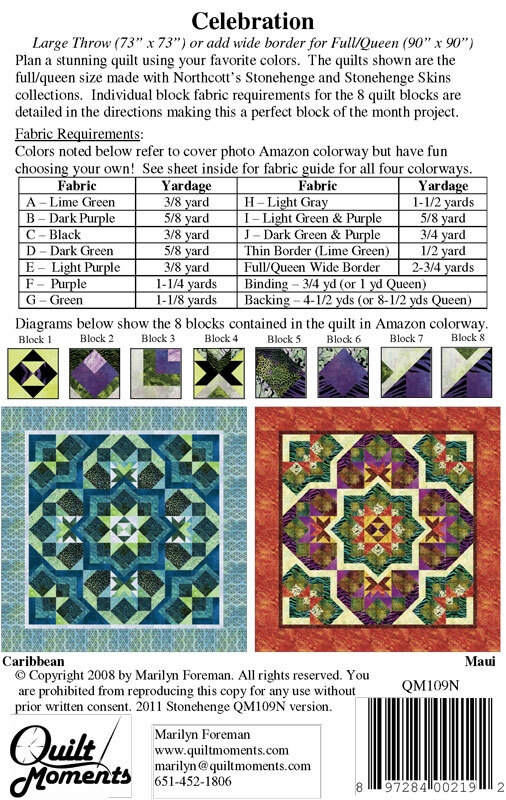 Individual block fabric requirements for the 8 different quilt blocks are detailed in the directions making this a perfect block of the month project. 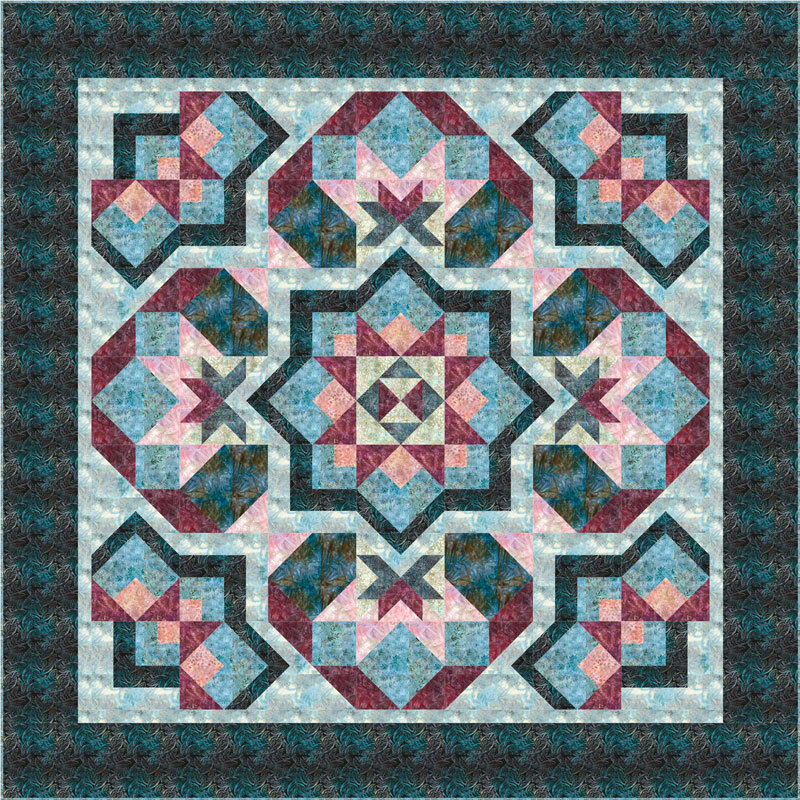 No sashing or setting required, when you’re done with the blocks, you’re all done!